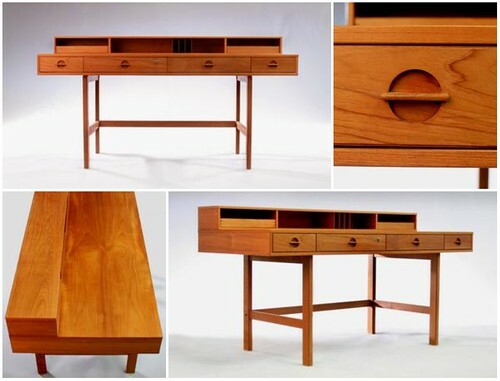 An eBay seller in Holland has posted this remarkable Danish modern cabinet with swinging compartments. Perhaps it was made to be a sewing stand, but the 14w x 23h x 11d cabinet could be used for small office bits, gaming supplies, or jewelry. The legs can be unscrewed for shipping or placement on a desk or countertop. What a great piece… the possibilities are endless. It could hold sewing kit, games… or even vegetables. No one create this similar design. It looks very sleek and rich of functionality.